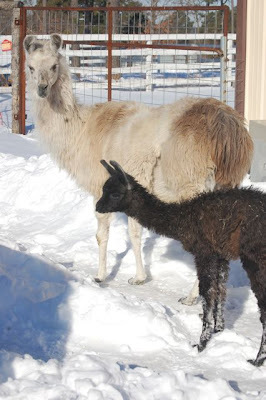 We have had a few llamas run through this ranch. 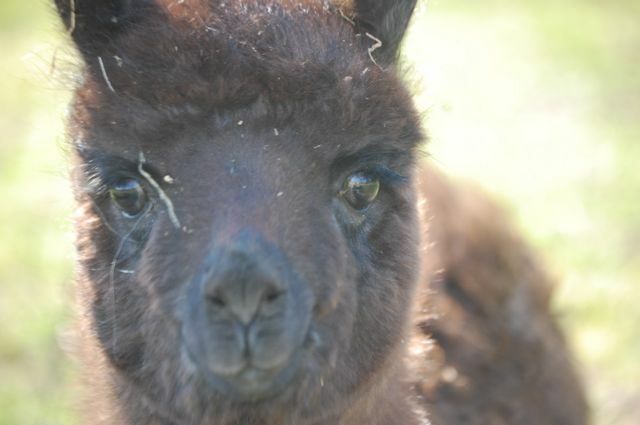 The first was a $40 male llama that we bought at the local auction house. It turned out that he was more of a show llama so we sold him and got another one named Ranger. 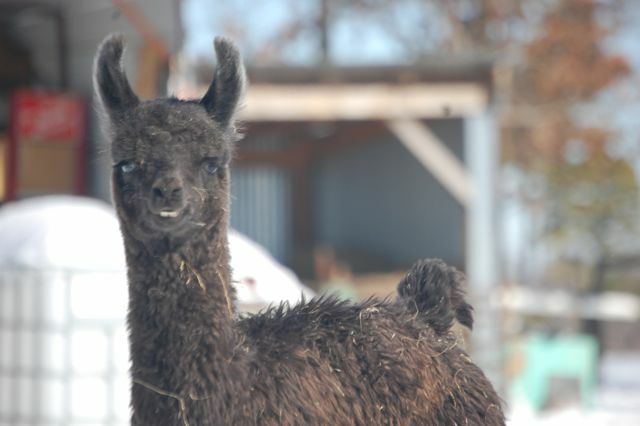 Ranger was a big male llama that was used to running on 40 acres with goats. He was a presence out in the 40. Sometimes he would come back at night and hang out with the goats but, at other times, he would remain a mysterious presence out in the 40. It was a little freaky to hear a branch breaking behind your back and turn to see a big llama staring at you. There was a trio of llamas that Granny bought us one year. Well, we ended up selling Mr. Bill, the male because he was a little out of control. We kept Peppercorn and Salty. In the fall of 2010, Peppercorn began to slow down. We weren't sure at first if it was due to a possible pregnancy and impending delivery date or what. As the days went by (and we researched online) we realized she was sick with something. We treated her, hoping she would pull through. Unfortunately, she dropped as we were bringing her back from pasture one night. Suspecting that she was bred, we did an emergency c-section on her in the hopes that we might be able to save the baby. We did find a baby but, he was preemie and not ready to live outside the womb yet. We still have Salty and her baby (Peppy) that was born here in January of this year. It was quite the event to watch - a baby llama birth. It has been interesting to watch Peppy grow up with the sheep and goats. Now that he is about 10 months old, we have watched him try to attack strangers that go into the sheep and goat yard. I am hoping that he will continue to be a good guardian for our livestock.